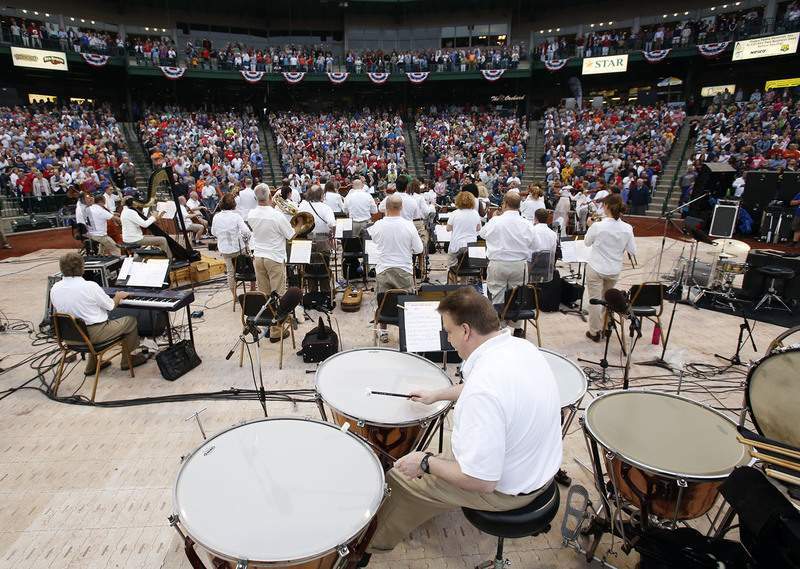 File The Fort Wayne Philharmonic will play its Patriotic Pops concert Saturday at Parkview Field. The Fort Wayne Philharmonic will perform Patriotic Pops concerts several times through the Fourth of July. The Fort Wayne concert takes place at 8:30 p.m. Saturday at Parkview Field, 1301 Ewing St. The free event includes fireworks with the finale downtown. Doors open at 5 p.m. and VIP access (which includes early admittance and the chance to win prizes) is available with pre-registration at tickets.fwphil.org. In addition to the Parkview Field show, there are three Patriotic Pops performances left on the Philharmonic's schedule. Each is free and begins at 7:30 p.m. Bring lawn chairs or blankets for seating. Today: DeKalb Outdoor Theater, 301 Center St. in Auburn. Sunday: Oakwood Resort at Wawasee, 702 E. Lakeview Road in Syracuse. In case of rain or extreme heat, the concert will take place at Wawasee High School, 1 Warrior Path, Syracuse. Tuesday: Bixler Lake Park, 221 S. Park Ave. in Kendallville. A performance by The Brat Pack follows before a fireworks display to close the night. In case of extreme heat, the concert will take place at East Noble High School, 901 S. Garden St., Kendallville.